Brazen Head is super close to my house but the atmosphere for drinking pales in comparison to the local so i don’t usually frequent it; my friend however is a big fan of their weekend brunch, in his words it’s just “good home style food”. 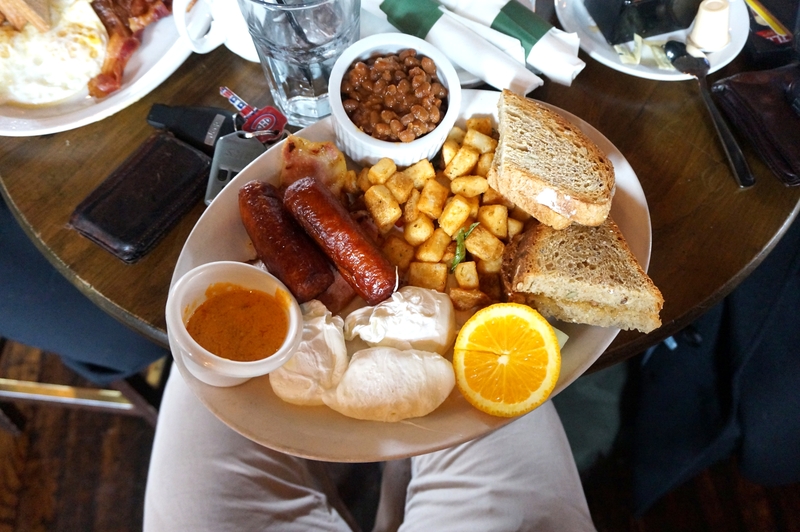 Keeping in with the new theme where I haven’t been waking up hung over and not leaving my bed until 5pm I hit Brazen Head last Saturday and ordered their Irish breakfast; a mammoth plate of eggs, bacon, sausage, home fries and bread. I was taken aback by how much food was on the plate; it was definitely a meal for two people. Now this is not fancy fare; it was as my friend had described; a plate of home style comfort that wasn’t trying to blow your mind; just leave you satisfied with a smile on your face. The bacon they were using was pea meal and fantastic. I’ve been sceptical on pea meal but this breakfast sold me on it. Their eggs poached perfectly, the sausages also a flavour bomb; the standout for me however was their home fries. A crisp outside, fluffy inside and altogether delicious morsels of potato. While it’s nothing revolutionary or life changing; the breakfast at Brazen Head will leave you feeling satisfied and all warm inside. 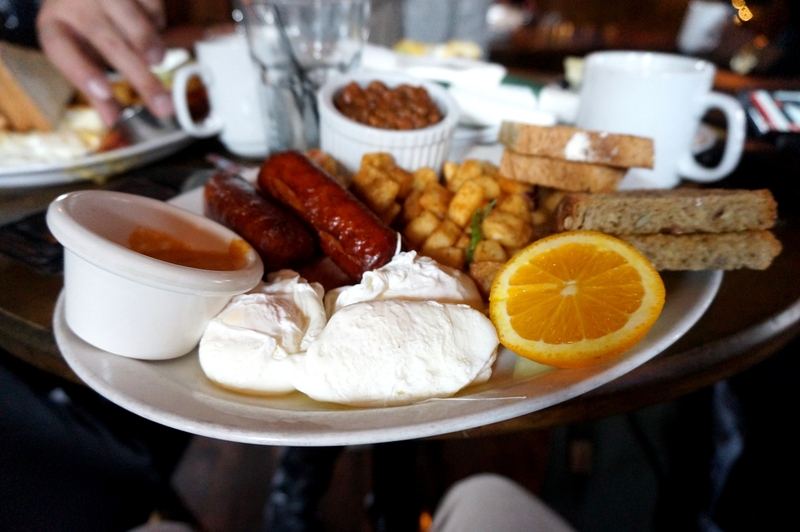 Posted on December 5, 2015 by AdrielPosted in Brunch n Lunch, TorontoTagged Brazen head, Brunch, Toronto.